A historic event has taken place in the Supreme Court of India. There will be no independent probe into Judge Brijgopal Harkishan Loya’s death. This is one of the first judgments to come at a time when the Indian Judiciary stands embattled in a manner not seen since Independence. 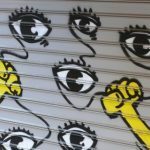 Those quick to point out the Emergency, may do well to reflect, that while Emergency kept our democracy locked and at bay to pander to an autocratic leader, now and here, as we live and speak, work or laze, fight or make love, a dark cloud looms by which democracy and the rule of law are being artfully and systematically subverted. In hindsight, Emergency appears as a blip and our judiciary came out the stronger of it. It rose to the occasion and reclaimed its independence as well as integrity. 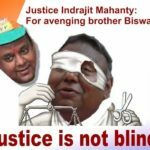 This spirit, which the Indian Judiciary showed at what was then the nadir of the Indian democratic experiment in the mid-seventies, is almost dead. This period is historic, not least for the other significant judgments that are being awaited, or for the unprecedented press meeting called by the Supreme Court’s senior-most judges, but for the very foundations that made our country possible in the first place. We are being uprooted like an old banyan tree might be, but we are by and large comatose, and don’t even feel the tremors. Such is the adversity of our collective situation. 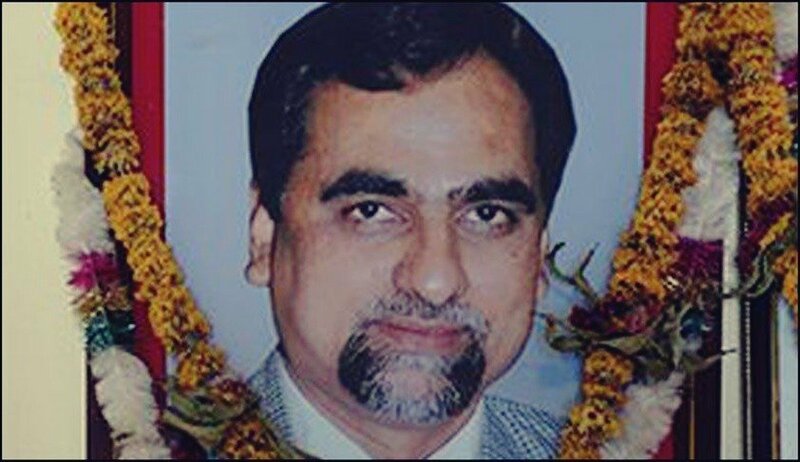 Judge Loya died in 2014 but for some time he stood resurrected. 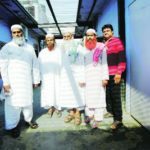 Caravan’s reporter Niranjan Takle is an ordinary person, much like you and me, but what he did was extraordinary. For a moment it seemed that God spoke through him, that God could well be a regular reporter, who must resurrect the dead, especially when it seemed that they had not been properly buried. Amongst its several rebuttals to the petitioners’ arguments, the bench constituted by the Chief Justice of India to decide the matter, is very keen on reprimanding the petitioners for their lack of bonafides and contempt of court. The bench then negates the evidence relied on by the petitioners. But this was not a criminal trial. 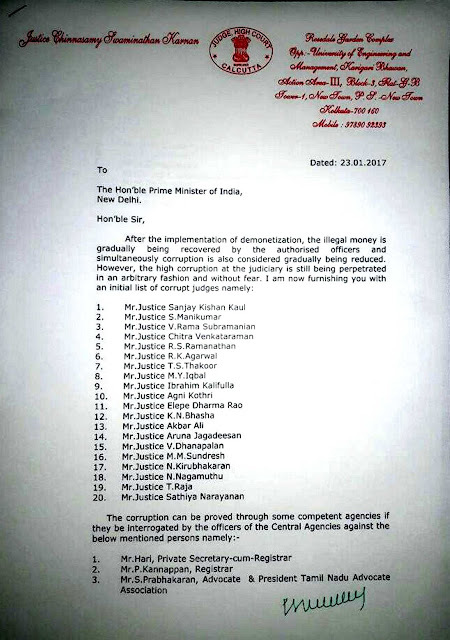 The writ petitions only sought an independent probe into a critical case that was in fact mocking the very institution of our judiciary. 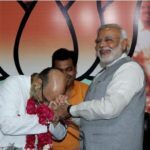 Judge Loya was a CBI judge entrusted with overseeing the Soharabbudin Sheikh fake encounter case in which the BJP President Amit Shah was an accused. Any reasonable person going by the murky and sordid history of the case, and what followed thereafter, and as it stands to tragically unfold even now, would assume that there is a rat, and it is stinking as hell. Post the furor over the Caravan article the Supreme Court should have in fact taken suo motu cognisance of the case. One of the time honoured maxims of the law is that justice should not only be done, but must be seen to be done. The Supreme Court’s rebuttals have already been politically hijacked and can be dissected as well as Mr. Jaitley has sought to do, but it would be more of Machiavellian legalese. Given the divisive and political overtones the case has assumed, with help in no little measure from social media, the polarisation is complete and evident, just as it is for anything now these days. More than polarisation there is fear. Read FEAR. None of Judge Loya’s family came ahead when they should have, even if it were to simply negate Caravan’s report in open court. The bench too declined to call the family or the judges who said they were with Judge Loya at the time of his death. These being just a couple of inexplicable positions taken by the bench. There was more than enough prima facie material, which the petitioners had brought on record in support of their plea. To reiterate – an independent inquiry is all that they sought. Nobody was going to be hanged for that. One does not need to be a legal scholar or a hotshot lawyer to understand this, or for that matter, the absolute retreat and silence of Judge Loya’s family in the days when the petitions and interventions were being heard. The bench has also upbraided the petitioners for undermining the judiciary by casting aspersions on those in the bench and on the other judges whose names came up as part of the hearing. Yet the petitions well within the domain of public knowledge fundamentally argued that if the plea for an independent probe is not granted, it would result in an erosion of faith in the judiciary and within it as well, and does not bode well for the lower judiciary. The tables stand turned and how. The irony is incredible. In another situation this might seem like a neat sleight of hand, altogether familiar when it comes to political expediency, but now it is simply scary. The Bar and Bench stand divided like never before and the line of division is glaring and aching. Certainly the atmosphere in the Supreme Court has turned noxious. All along, in spite of all the pressures, our judiciary has always shown that it will be the ultimate leveller and a custodian of our rights and dignity. That modicum of faith is fast disappearing. Judge Loya, who might have been afforded the chance to speak to us through his grave, has been silenced yet again. The questions however will not cease. I often look at his file photos in the news and I always think of him first as a judge and later in any of his filial capacities. 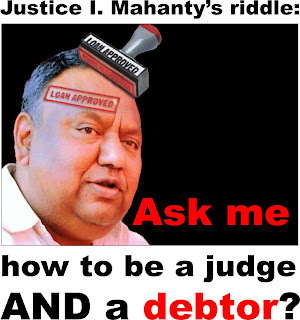 Was it not enough that he had sworn to serve the judiciary and through the institution, us, the people of India? His life was exemplary in that regard, and his conduct impeccable, especially when he was assigned to adjudicate the notorious Sohrabbudin case. Do we understand that in failing an upright judge, we have also failed the very institution that is key to our democracy and our constitutional values? It is perhaps the latter that bothers me more and I have a feeling that Judge Loya would have concurred. There are hundreds of Judge Loyas in our country who have taken the fall in the line of duty when they became a nuisance to the ruling establishment of their time. Judge Loya is certainly not an exception, but his case is. Our judiciary, and we the people of India, were offered a rare opportunity to redeem ourselves had an independent probe been permitted. We have let that moment pass to our peril. We stand witness to a new phase of history that has been surely and steadily taking its course, not dissimilar to other previous twisted regimes in the world. In this withering landscape we are adrift and pensive, and for now, our heads must hang in shame. It’s a real eye opener article…..not only in judiciary…in every such institution …education …sports..the political interference …and divide n rule policy is followed …it will be a disaster ….if people..students don’t retaliate..finally ….hopebfor the best ..